The Sig Sauer Traditional Tactical Operations (Tacops) features a traditional round top slide with front and rear serrations for easier grip on pulling the slide back to load a round into the chamber. 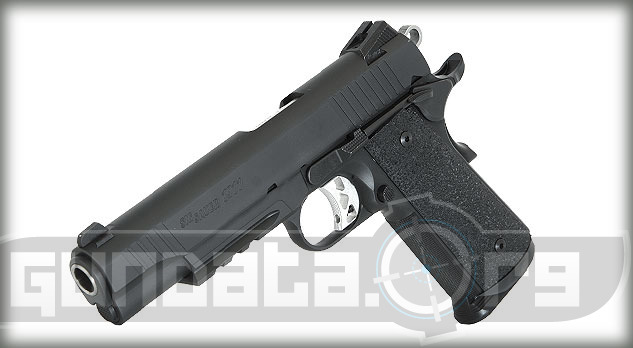 It has a low-profile SIGLITE nNgt rear and front sight. 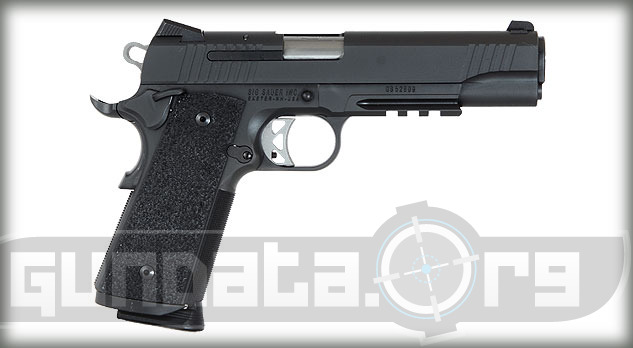 The Tacops is a full frame size pistol that has an overall length of 8.7-inches, with a 5-inch barrel. It is a self-defense, tactical purpose handgun that has a medium sized conceal and carry profile. 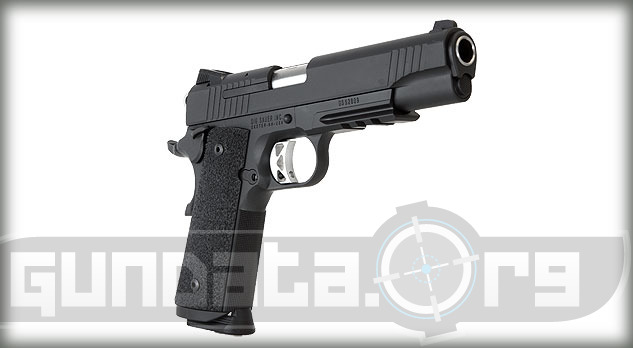 The Sig Sauer 1911 Tradtional Tacops fires .45 ACP rounds, and holds 8-round magazines. The trigger is an SAO with a 5-pound pull. The grips are Ergo XT with Integral Magwell, along with a beavertail grip safety. The frame is a Nitron Matte Black finish, and features a stainless steel slide, with an integrated accessory rail to mount a light or laser.